F 1 c Troy C. Dill, son of D.O. Dill, attended Frederick High School; husband of the former Georgine Gordon. 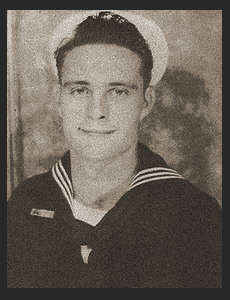 Entered the Navy in 1943, trained in San Diego, Cal. ; served in Hawaii, New Guinea, the Philippines, the Gilberts, the Marshalls. Awarded Asiatic Pacific Ribbon with three Battle Stars, Philippine Lib. Ribbon with one Battle Star, Good Conduct Medal.